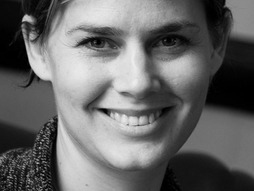 Jennifer Pahlka is the founder of Code for America, which matches software geniuses with US cities to reboot local services. Pahlka is the founder and executive director of Code for America, which works with talented web professionals and cities around the country to promote public service and reboot government. Kitchener - Waterloo Regional Council has published its 2012 Accessibility Plan, a document which outlines projects and initiatives which will improve our community for our neighbours with disabilities. The plan summarizes the activities undertaken by the Region in 2011, and offers descriptions of new undertakings scheduled for 2012. St. Jacobs  Drayton Entertainment has kicked off the 2012 Season at the St. Jacobs Country Playhouse with 9 To 5: The Musical, the uproarious comedy based on the beloved 1980 film starring Dolly Parton. Featuring three incredible female performers in the lead roles along with the company’s Artistic Director Alex Mustakas in the central role of “The Boss,” 9 To 5: The Musical is first-rate theatrical entertainment. Toronto - The Ontario preliminary Seasonally Adjusted Annual Rate (SAAR) of home starts across urban centres moved lower in February. An estimated 64,100 residential housing units got started in the latest month, down from 77,100 units in January. Multi-family home construction, which includes semi detached homes, town homes and apartments was solely responsible for the decrease. Waterloo - OpenText has announced enhancements to the OpenText Online Marketing solution that helps marketing organizations transform ordinary Web sites into dynamic, exceptional customer experiences across Web, social, mobile, print and more. The new capabilities in OpenText Web Experience Management pave the road to new customers, boost loyalty among existing customers, and demonstrate the value of digital marketing efforts. Waterloo - Descartes Systems Group announced financial results for its fiscal 2012 fourth quarter (Q4FY12) and year (FY12) ended January 31, 2012. All financial results referenced are in United States (US) currency and, unless otherwise indicated, are determined in accordance with US Generally Accepted Accounting Principles (GAAP). Waterloo  Wilfrid Laurier University will open its doors for its annual March Break Open Houses, Wednesday, March 14 at Laurier Brantford and Friday, March 16 at Laurier’s Waterloo campus. Waterloo - Policy makers should implement shortselling bans only as a last resort, in response to financial crises, a new policy brief from The Centre for International Governance Innovation (CIGI) concludes. Waterloo  From May 14 to June 22, a team of 20 Laurier students will be carrying out the first-ever archaeological dig at Fort Erie, located on the Canadian side of the Niagara River across from Buffalo, NY, in commemoration of the 200th anniversary of the War of 1812. Mild temperatures and minor amounts of rainfall moved into the Grand River watershed since Wednesday. Daytime and overnight temperatures remained over 10C for most of the watershed. As a result, river and stream flows have been increasing due to runoff and melt of the snowpack. Ottawa - The Canada Revenue Agency (CRA) has a number of benefits, credits, and services to help families meet their financial obligations throughout the year, reduce the amount that they owe at tax time, and provide them with convenient online options.